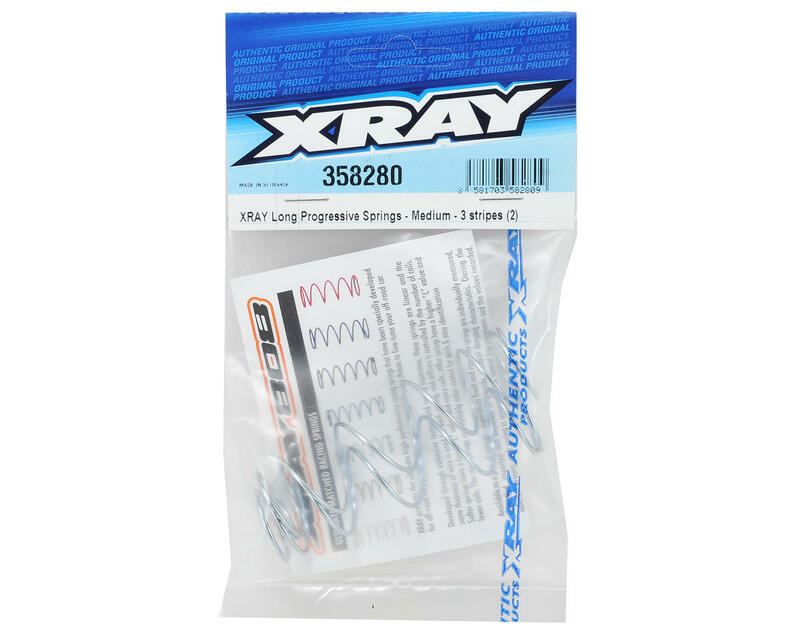 This is an optional XRAY Progressive Long Rear Shock Spring Set, and is intended for use with the XRAY XB808 and XB9 1/8 buggies. 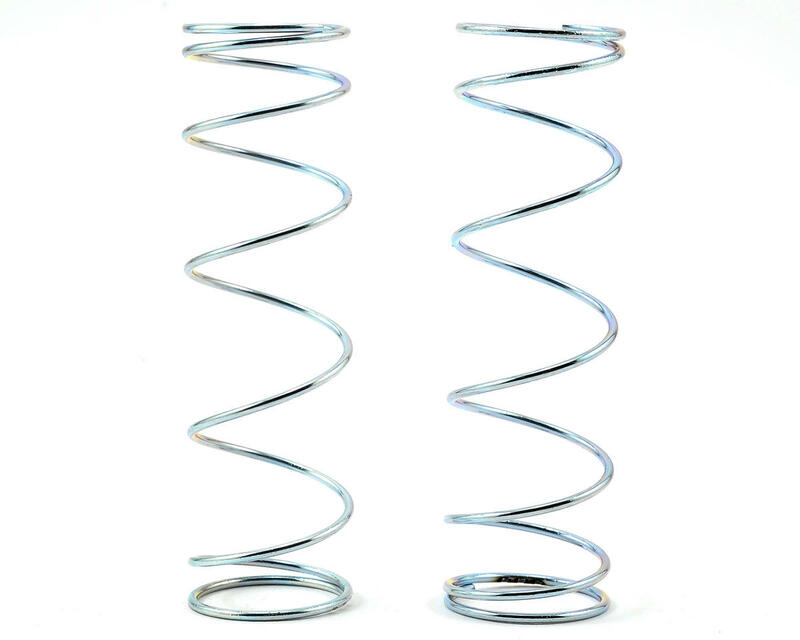 These springs provide improved steering at the beginning of the corner, but will help to resist rolling in the middle of the corner as the spring becomes stiffer and are recommended for medium to high traction surfaces. These progressive rate springs are soft at the beginning of the compression, similar to 0.5 rate springs, but become harder as the spring is compressed through the middle of the stroke and finish off the compression at 0.6 rate.